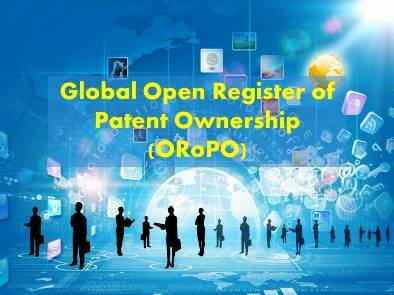 The Open Register of Patent Ownership (ORoPO) was launched, with the objective of creating a user-friendly and freely accessible database with information about which companies own which patents. 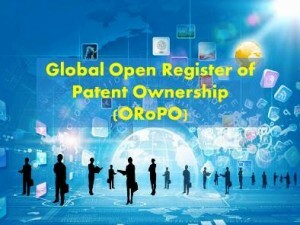 Oropo is committed to assembling the first global database of who owns which patents. A report from the ORoPO Foundation stated that as much as 25% of the world’s patent ownership data may be inaccurate. Many of these inaccuracies may well be typographical errors and/or unregistered address changes, rather than changes of ownership per se, but such errors can still make it difficult to establish who to contact if wanting to license or buy a patent, for example. For some patents, however, ownership is not updated after a patent has been bought or sold. These inaccuracies can make it hard to approach patent holders, understand who owns rights that might be relevant to your business, etc. If the database is successful life may become much easier in determining who owns what when considering patent strategy. However, it is highly unlikely that the database will ever replace the official registers at national patent offices which will reflect the true ownership position, but which are known to contain errors and are expensive to keep updated for the patent owners. The ORoPO Foundation hopes that the proposed database will make licensing patents easier, and so encourage innovation. The Open Register has the backing of many leading companies, including IBM, Microsoft, ARM and BAE Systems, showing that a currently unfulfilled need has been identified. However, the level of uptake of ORoPO will determine its success – the Open Register will only become a useful tool if a large enough number of companies use it and keep it updated. ORoPO is voluntary, open and non-profit. Participation in ORoPO is voluntary and free. ORoPO works alongside many of the world’s leading patent offices to complement their work around improvements in openness, transparency and data quality. All data uploaded into ORoPO is free of intellectual property restrictions and is made available to the public as open data. ORoPO is a non-profit corporation. It is managed by a board of directors with the support of an Advisory Board. The ORoPO database includes verified details of patents owned by organizations. Its mission is to improve transparency and openness around patent ownership data. This is an essential and necessary step towards the evolution of patents as a functional asset class. ORoPO is based in California USA.